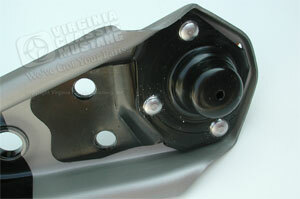 These lower control arms are authentic reproductions. 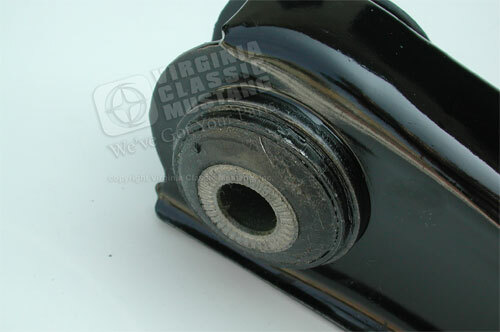 They feature the original riveted design and 2-tone paint. 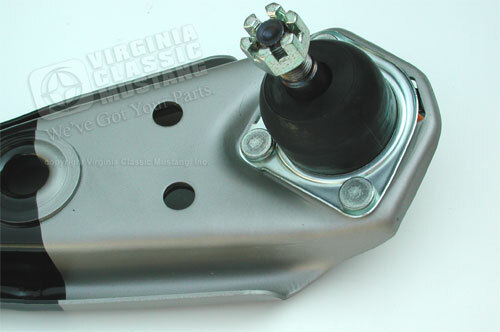 Comes complete with balljoint, pressed in bushing, grease seal, zerk fitting, washer, nut and cotter key. Painted black and natural steel grey. 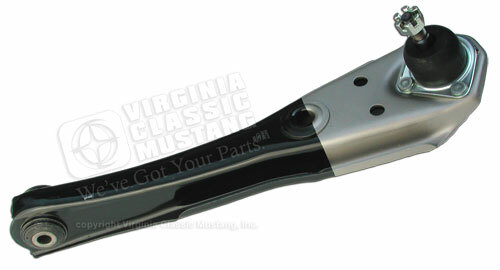 Also see our new part number SU10814. 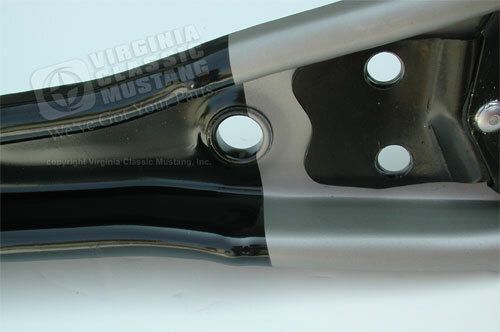 It is the same control arm but has the correct jacking tabs for the 1968 and 1969 Mustangs.